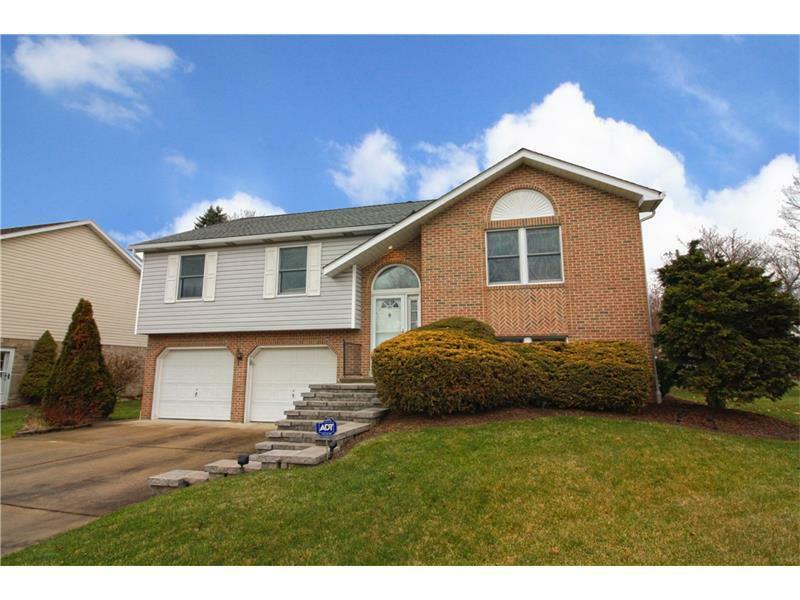 Beautiful, Well Maintained Home in Cool Valley! 3 Bedrooms & 3 Full Bathrooms. Equipped Eat-in-Kitchen. Updated Flooring & Tile. Dining Room with French Door to Rear Deck, Fenced Yard & Built in Swimming Pool. Spacious Master Suite w/Private Bath & Two Closets. Huge Finished Lower Level Family Room w/Brick Fireplace, Full Bathroom & French Door to Rear Patio. Patio & Pool Area with Easy Access from both Floors are Great for Entertaining. Lots of Storage Throughout Home. Oversized 2 Car Garage w/Workshop Space. Corner Lot on Quiet Cul-de-Sac Road. Convenient Location to Downtown Greensburg, Main Roads, Hospital, Shopping & Restaurants.